Brussels -The European Commission in Brussels said members of the union’s executive panel partook in the Conference on the Future of EU Finances on Monday. The conference will bring together high-level members of European institutions, representatives of EU governments and other stakeholders to discuss the challenges facing the EU budget, and their solutions. 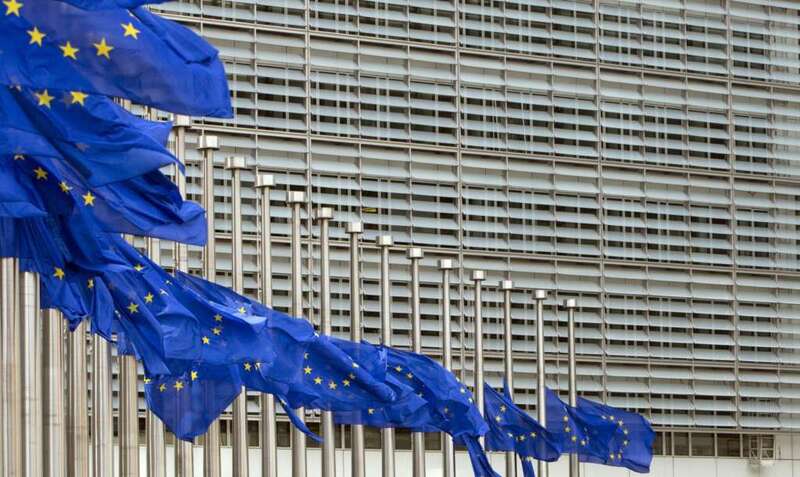 In a statement, the commission said the discussions held on the sidelines of the conference will fuel the debate on the multi-year financial framework that will be announced in the future, especially after the launch of the so-called “paper of ideas and reflection” on the future of EU funding, the commission said in a statement. The discussion will be chaired by Günther Oettinger, commissioner for budget and human resources, Corina Cretu, European Commissioner for Regional Policies, and Mariya Gabriel, commissioner for digital economy and society. The statement pointed out that in June, the Commission published a series of papers featuring ideas and reviews on the debate that kicked off in March, and issued the so-called “White Paper on Europe’s Future” book. These papers include ideas on possible budget-related implications and options. Following the publication of the book, Oettinger held some meetings with stakeholders, whose ideas will be included on the agenda of discussions highlighting the multi-year framework. Cretu also visited several European capitals to discuss the European Cohesion policy. Before June, the 7th edition of the “Cohesion Forum”, which takes place every three years, and brings together 700 economic, political and academic figures, both regional and local, as well as senior officials from EU institutions and economic and social partners, was held to discuss the policy of European coherence after 2020. Simultaneously, the federal institutions have been preparing to discuss the future framework of the European budget, and the European Commission has been also preparing to propose a paper to tackle the financial future of the European Union. The Commission in Brussels said that the most important topics tackled during workshops with the participation of senior European officials focused on supporting structural reforms, simplifying rules, reducing geographical disparities, and the volume of European investments in innovation. The EU’s coherence policy mainly addresses development issues like infrastructure, culture, tourism, creative areas. According to the Commission, the policy of cohesion means the establishment of hundreds of thousands of projects throughout Europe with a financial support provided by the European Regional Development Fund, the European Social Fund and the Cohesion Fund. The European Common Law of 1986 also contains a section on economic and social cohesion that aimed at reducing development disparities in various less fortunate areas. The latest European treaty, the so-called “Lisbon Treaty”, deals with the development of the name by social, economic and regional cohesion. This means that a policy of cohesion consists of promoting a more balanced and sustainable regional development, a broader concept than a regional policy that is only related to regional engagement. In March, an agreement was signed in Brussels between the EU institutions on a multi-year fiscal framework for the EU’s budget for the period 2014-2020, in order to align it with new priorities.